Lily Atwood lives in what used to be Washington, D.C. Her father is one of the most powerful men in the world, having been a vital part of rebuilding and reuniting humanity after the war that killed over five billion people. Now he's running to be one of its leaders. But in the rediscovered peace in this new world, a force has risen. They call themselves The Revealed -- an underground rebel organization that has been kidnapping 18-year-olds across the globe without explanation. No one knows why The Revealed is taking these teens, but it's clear something is different about these people. They can set fires with a snap of their fingers and create wind strong enough to throw over a tree with a flick of their wrist. They are unstoppable, and they have targeted 18-year-old Lily as their next victim. 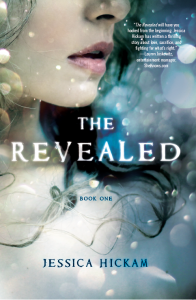 Lily is too close to breaking free from her father's shadow to let The Revealed ruin things, especially her developing relationship with the mysterious Kai Westerfield -- the sun of her father's rival. Lily isn't about to lose her future just when it's starting to look promising. Not without a fight. If I'm going to be taken, I plan on having at least a little fun first. Sleek and silver with the latest technology, including dent-resistant metal, my father's Aston Martin is made to drive. The doors recognize DNA and I'm half him, so it's easy to break inside. I just press my hand against the door. The car needs a moment to analyze, then lifts the door, allowing me to slide into the driver's seat. I toss the still-sealed letter onto the passenger seat. There's no need to open it. I know what it is. The car's ignition can either be started with fingerprint recognition or overridden by the key. I took the keys from the shelf by the front door while my mother wasn't home earlier this morning. I shift gears and press my ballet flats on the gas, not wasting any time. The odometer climbs higher as the car smoothly accelerates. The sensor in the car's front mirror triggers our gate, and it opens just in time for me to speed through. Let security try to track me down now. Pulling out onto the main road, I press my foot to the floor, going well over the speed limit. I glance in my rearview mirror. Security doesn't stand a chance! My eyes return to the road. Strategically placed, black SUVs block my path to the freeway. My lungs constrict, forcing the air from my chest. Somehow they're already one step ahead of me. My foot hits the brake. Adrenaline spins through me as I brace the wheel, keeping the car straight. My knuckles tighten. I feel the road beneath my slipping under my feet. The Aston slams to a stop, throwing me up against the wheel. THe first SUV is only inches in front of me. Relief fills me but is quickly erased by mounting frustration. I rip off my seatbelt, stomping out of the car. Jeremy, head of my father's security, stands at the front of the line. There are half a dozen other members of security lounging against the cars as they wait for me to arrive. They straighten to a standing position once I storm toward Jeremy. Jeremy's lips are carved into a thin line. He looks like he's expecting me to barrel into him and continue running down the road. "Did that scare you enough to get these insane ideas out of your system?" "You could have made me crash?" I advance on him. "Good thing you were paying attention then," Jeremy says, opening the backdoor of the SUV. I had over the Aston's keys and slump inside. The smell of the black leather reminds me of past trips to speeches and conventions. My father used to let me pick the music on the touch screen positioned in the side-door panel, anything I wanted, while my mother would chastise me for turning it up too loud. But my father would just laugh and tell her to let me be a kid. I feel like a kid now more than ever, and it's a hard reminder that I don't get to make significant decisions. Especially when it comes to my life. It has already been laid out for me. Jeremy tosses the Aston's keys to one of the security guards standing behind him. He'll drive it back into the garage. "You're gonna get yourself killed if you keep pulling these stunts," he continues his lecture. "Either I do it or The Revealed does," I say as he slams the door trapping me securely in the back. Two hundred fifty-two days until I'm nineteen. If I make until then. After graduating from Arizona State University in 2011, Jessica relocated to Los Angeles where she now works in the film industry. From acting to assisting on the Paramount feature Star Trek: Into Darkness, her experiences have only reinforced her love for living in other worlds – whether they be from her own imagination or someone else's. 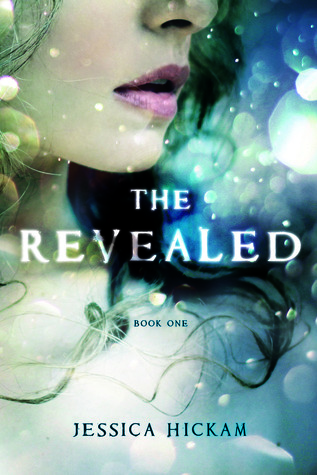 The Revealed is her first novel.